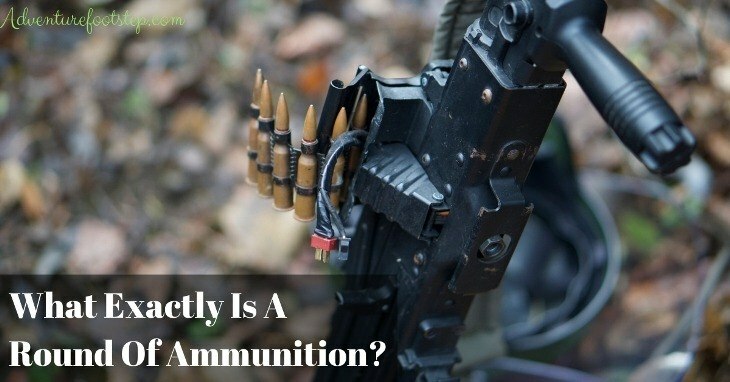 →What Exactly Is A Round Of Ammunition? In the past, human beings had to fight with their rivals and defend themselves with extremely primitive weapons such as spears or swords. However, the creation and development of ammunition have made the course of history change. Even at present, thanks to long-range guns, people can attack anybody without seeing or touching them. In hundreds of fierce wars, the forces with advanced weapons and modern ammunition have seemed to have a higher chance to claim glory. Today, thanks to outstanding science and technology, more and more ammunition with different levels of damage are created. As we all know, ammo’s shape is round. But to be exact, what is a round (or a complete round) of ammo? Is there any difference with bullets? If you’re still confused, good to see you here. In this article, we will answer these questions. What Is A Complete Round Of Ammunition? First things first, let’s discover the essential components of ammo. 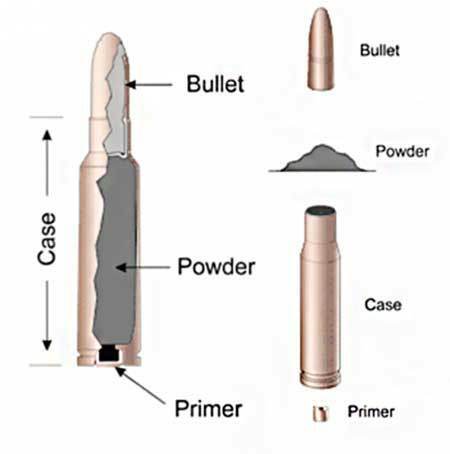 Generally, one ammo includes bullet, casing, powder, and primer. The bullet is the “top” of a cartridge. Mostly, when it goes out of the shell, it will fly in the air andreach the target such as human, metal or any other materials. Next, this bullet is compressed into the casing. When you pull the trigger, the casing will be expelled from the barrel. On the back of the casing is the primer. If the trigger is pulled, the primer will be struck by the firing pin, and then ignite the powder. The powder (also called the propellant) is located in the center of the casing. When the igniter lights the propellant, it burns very quickly, creating gas pressure and then pushing the bullet out. So all the above components make a complete round. 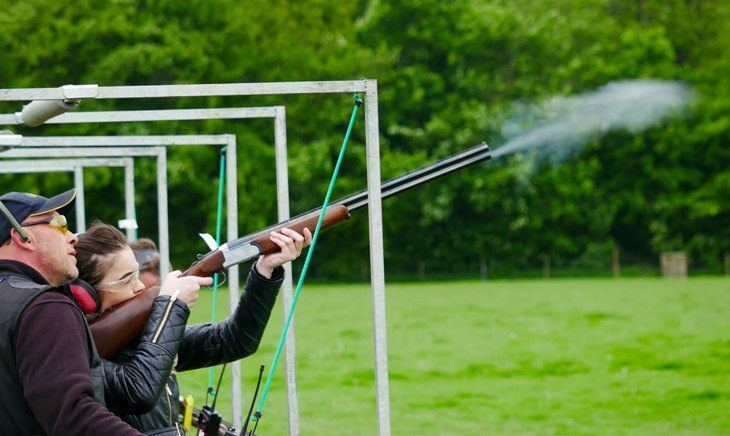 Simply, a round of ammunition is a cartridge. How Can An Ammo Cause Damage? A flying object has momentum, generated from its velocity and mass. The faster the object moves and the heavier it is, the greater the momentum it produces. Although bullets are small in size, they have lots of momentum because they fly very fast. Because of rapid movement, bullets also have great dynamic energy, resulting from burning explosives in the round. Remember that the kinetic energy of an object is equal to its square of velocity, so if its speed is doubled, the kinetic energy will increase fourfold. Bullets have great destructive power when they transfer their energy into the target. A rifle bullet that fly to the target in 1/10 second can create a force equivalent to the damage capability of a heavy truck. How Far Can Bullets Fly? In theory, you can calculate how far a bullet moves by using a motion calculation formula based on Newton's law. If you know how fast the bullet travels, you can easily calculate how far it goes. When rifle bullets leave the barrel, they usually have initial velocities ranging from 2,000 km / h to 4,500 km / hour. If you use these numbers to calculate the distance traveled by the bullets, you will see bullets fired from a 45 degree angle will move the distance from 100 km to 150 km. 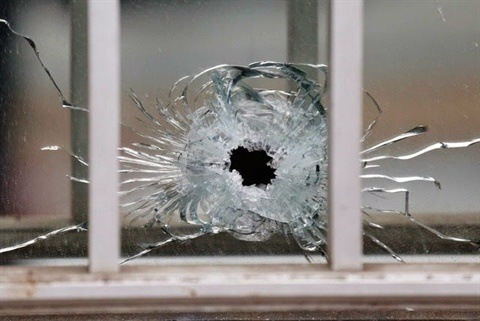 Of course, the actual distance does not come out like that: rifle bullets can only move up to a distance of about 4 km. So now, you’ve already known the exact definition of a round of ammunition. Even more, you also have more basic knowledge about how it works, how far it can travel, and how it damages targets. If you’re interested in this article, feel free to share it with your friends.